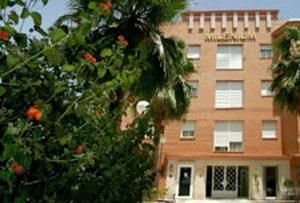 Av De La Innovacion, 13, 41020 Sevilla, Spanien. 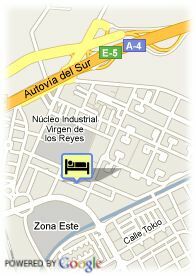 Hotel Bib Rambla is located at the Exhibition and Congress Palace area. There are two types of rooms: 1 room apartments with living room and double bed, and lofts. Both have fully equipped kitchen with washing machine, microwave and kitchenware. Swimming pool open from 15 june until 15 september. Kostenlose open air Parkplätze beim Hotel, Reservierung erforderlich. Autobahnnähe, in der Nähe der Altstadt.